As a biopharmaceutical company with attractive proprietary compounds, becoming a potential M&A target for larger pharmaceutical companies is eventually a standard business scenario. Even more so when the company possesses a strong underlying proprietary drug discovery platform and related expertise. MorphoSys has prospered in such a situation through many years although the acquisition of the Company was, according to some external spectators at least, constantly just around the next corner. Since different types of deals (co-development, co-commercialisation, acquisitions and divestments) have different resource requirements post-signing, business development professionals should take this into consideration when negotiating a deal. The best means to accomplish this is to involve an alliance management professional from the start. 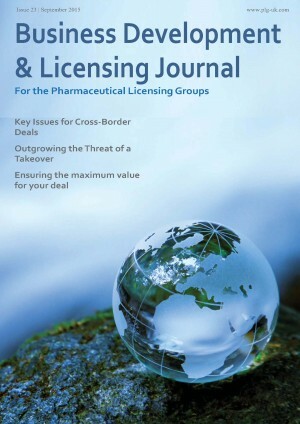 2015 life science licensing and acquisitions will inevitably conclude with record-setting overall transaction volumes, dominated by mega-deals driven by strategic goals of scale and capital efficiency. Emerging and mid-size deals however, tend to be driven by considerations of who, in terms of organisational capacity and capital, is the best owner of an asset at a given stage of scientific, clinical or commercial development. Large cap global M&A is impacted by monetary policy, regional economic outlook and institutional capital flows. On the other hand, emerging and mid-size deals require sophisticated project investment, risk management and option valuation skills.